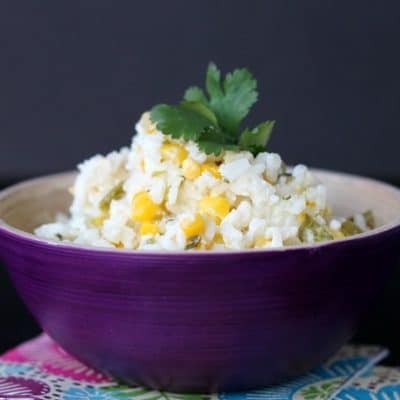 A perfect side dish or just fantastic filling for burritos, this Creamy Confetti Rice is stick-to-your-ribs delicious! I have been wanting to make this recipe since before Christmas, and I finally worked it into our family menu last week. Jared’s work Christmas party was a potluck style dinner and someone brought this delicious rice (in a gorgeous Le Creuset dish, I might add-that’s my affiliate link if you want to check it out) and I had to go back for seconds. 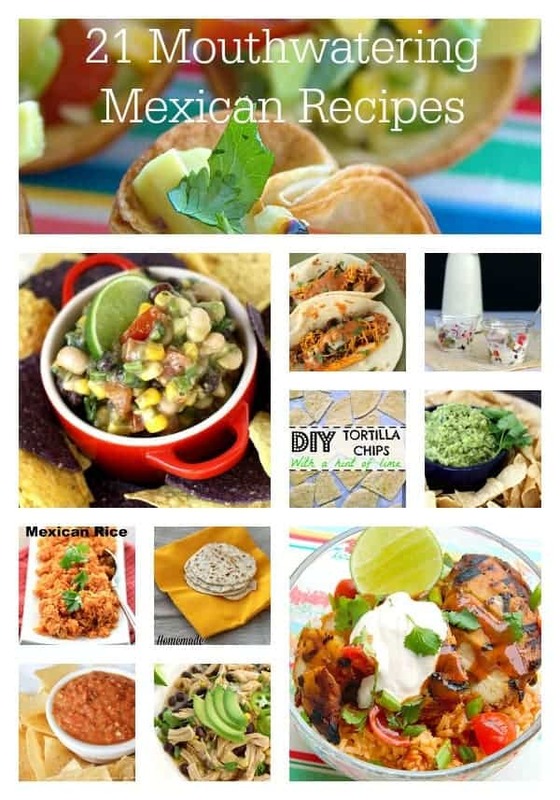 It’s creamy and cheesy and full of delicious flavors that go together so well! Bring water to a boil and add butter and salt. When butter is melted, add in the rice and bring back to a boil. Lower the heat to very low and cover. Allow to cook for 25-30 minutes, until all the water is absorbed. OR make the rice in a rice cooker, adding the butter and salt in with the water. 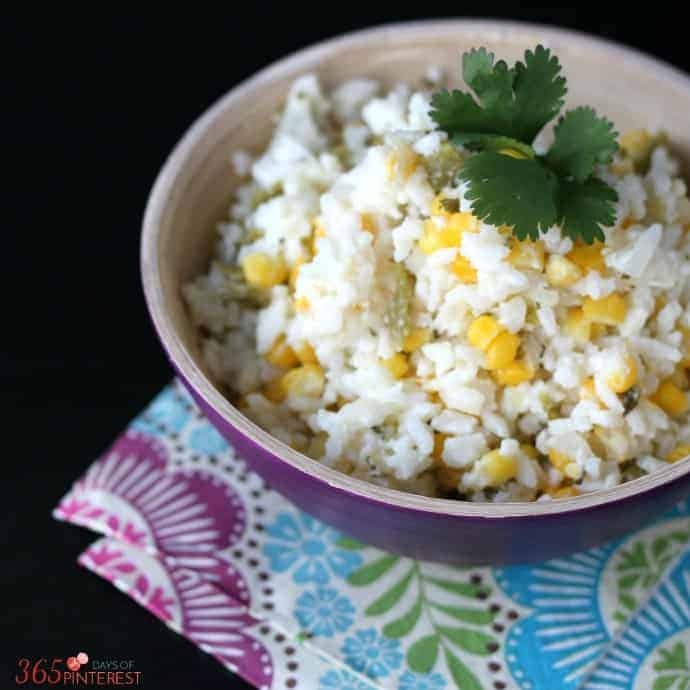 Take the cooked rice and spread it in a 9x13 pan, allowing it to cool while you work. In a bowl, combine the sour cream with 1/4 cup of the onion and the cilantro. Salt to taste. In a pan, saute the garlic and the rest of the onion in the oil. Stir in the peppers and frozen corn. Saute for about 1 minute. 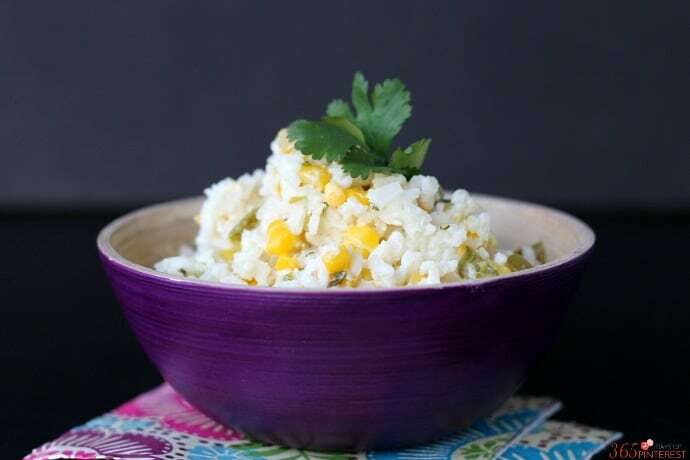 Add the sour cream mixture, vegetables and cheese to the rice in the pan and stir to combine. Bake at 350 for 30 minutes, or until heated through. 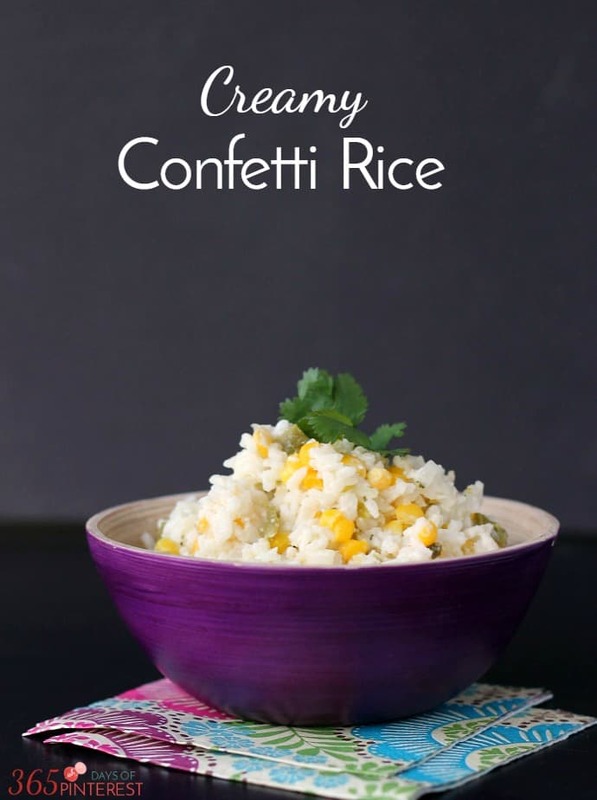 If you like this Creamy Confetti Rice, you will definitely find something you’ll love in this collection!